Once your baby is on the move, the on-the-go action never stops! That’s why a monitor that clearly captures the nursery play-by-play is a must-have. The new VTech Safe&Sound® VM343 Expandable Digital Video Baby Monitor with Pan & Tilt Camera and Automatic Night Vision does it all so you can keep a close eye even after you’ve closed the door. This monitor displays both full-color video and night vision on a large, high-resolution 4.3-inch LCD screen. With multiple viewing options, you can pan, scan, and zoom to your heart’s content, ensuring you don’t miss a beat from your active tot (or tots). If your little one needs some post-bedtime soothing, use the talk-back intercom for another round of “goodnight/go to bed” from the couch. And with secure transmission, you can rest assured that all videos are private and protected against eavesdropping. Babies love mastering new skills, especially when it’s time to snooze. So, even when those fun tricks keep them on their toes, you don’t have to be on yours thanks to VTech. 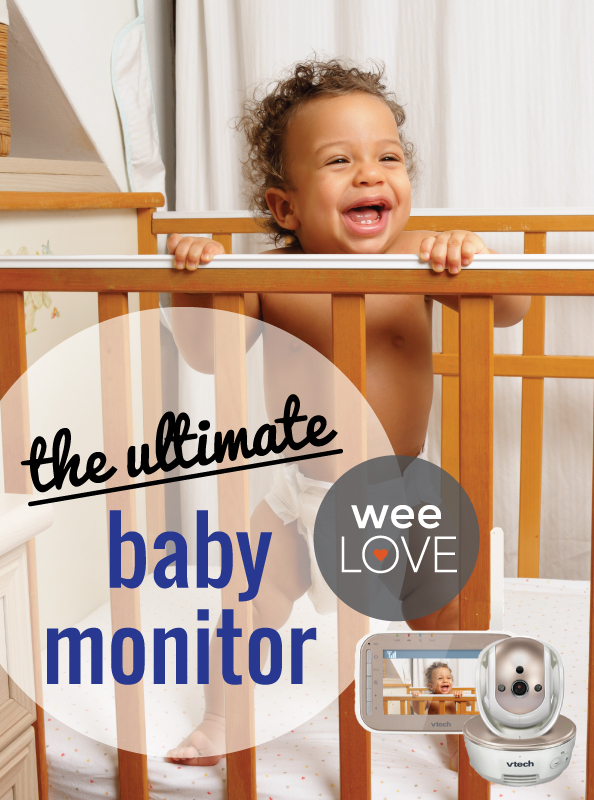 weeLove: Transitioning from a Swaddle? Start Here.